Dance • Ballet West breaks ground with a concert by three masters, a new reality TV show and a family-friendly program. 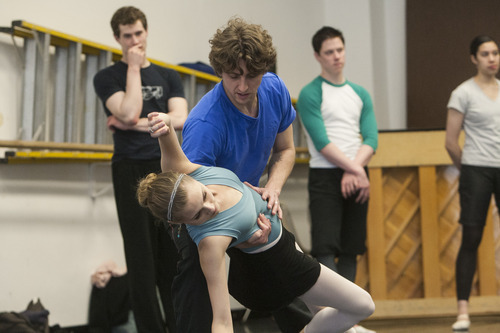 Ballet West's repertoire is becoming more eclectic and its programming more ambitious. This season, for example, the company has successfully mounted the grand classic "Don Quixote" and the theatrical "Dracula." And this week it's launching a triple bill that includes company premieres of Jirí Kylián's "Petite Mort," George Balanchine's "Emeralds," and Marius Petipa's Grand Pas from "Paquita." In addition, it's adding a new twist by launching a concurrent family series featuring Ballet West II performing "The Little Mermaid." All this while Ballet West is participating in a new reality television series, "Breaking Pointe," produced by BBC Worldwide Productions and scheduled to air on The CW this summer. 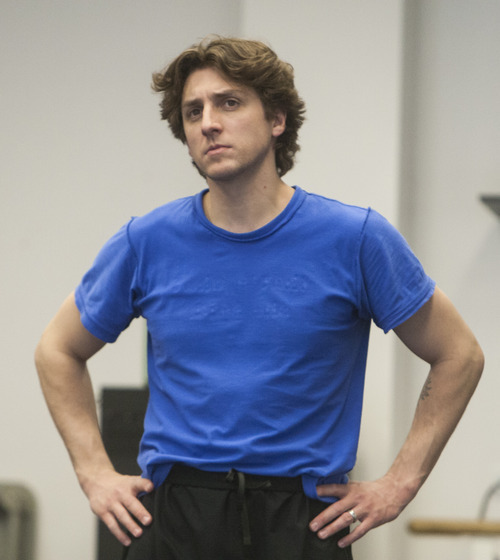 The aim is "to set the record straight after 'Black Swan' and show the real drama, heartache and joy of the ballet world, rather than the exaggerated stereotypes we saw in the movie," said artistic director Adam Sklute. That translates to ubiquitous cameras and microphones in Capitol Theatre rehearsal studios, while the company shares space with Ballet West II. Dancers shuffle between studios, stretch in the narrow hallways and cram into what feels like the tiniest elevator in Salt Lake City to travel between floors. But this week, dancers are concentrating on perfecting stylistic differences and discovering the internal stories of three of the gods of ballet. Petipa is considered the father of classical ballet, Balanchine established the modern style of classical American ballet and Kylián is the archetype for contemporary ballet choreography. "Being a classical dancer in the 21st century requires versatility, especially in North America," Sklute said. Moving between styles, choreographers and eras  and styles within eras  is good for dancers, but also keeps audiences interested, Sklute believes. Which is why he decided to run "The Little Mermaid" at the same time as the "Emeralds" program. "Of course it was also a prudent financial choice," Sklute said. "The ballets on the triple bill don't have elaborate sets, so it was feasible to run the two programs concurrently. It is also an opportunity for the second company, company trainees and academy students to perform a work that is family-friendly and, frankly, shorter." Additionally, dancer Chris Ruud has been named the new director of Ballet West II, after the passing of Mark Goldweber in December. Ruud will also continue as a principal dancer with Ballet West. Sklute and Goldweber talked to Ruud at the beginning of the season to talk about the position, knowing Goldweber's illness was progressing. "I was more than touched and honored that he came to me," Ruud said. "And I have to say I absolutely love the job." It requires taking young pre-professionals and teaching them the ropes, Ruud explained. Young dancers need to know how to work in rehearsal, how to work with guest choreographers, and "all the parts of the job that aren't written down somewhere that you usually have to learn the hard way." As a choreographer, Ruud is looking forward to creating a ballet next year on the young company. But "The Little Mermaid" was the brainchild of Goldweber, and ballet mistress Pamela Robinson-Harris wanted to finish the work in honor of her friend and colleague. Robinson needed another choreographer to complete the job, and ex-Ballet West dancer and choreographer Peggy Dolkas was a natural choice. The two split the work, yet both agree they often felt Goldweber's presence. "We would have similar ideas that would sort of come to us as if Mark were guiding us," Robinson-Harris said. There are many ballet versions of "The Little Mermaid," and some are very dark, unlike the popular Disney cartoon movie. The original fairy tale, written in 1837 by Hans Christian Andersen, is about a young mermaid willing to give up her life in the sea and her identity to gain a human soul and the love of a human prince. The big difference from the Disney tale is the ending. "Many of the versions based on the original are very sad," Dolkas said. "We have managed to maintain the integrity of the original while keeping it family friendly." Many families who enjoy live performance but have younger children only come to the "Nutcracker" each year. Sklute said he hopes "The Little Mermaid" will entice audiences of all ages to come to the Capitol Theater next week, but he said he "can't wait to see the smiles on the children's faces when they see the  oh, I don't want to give anything away." Ballet West presents a concert of three works, George Balanchine's "Emeralds," the grand pas from Marius Petipa's "Paquita" and the Utah premiere of Jiri Kylian's "Petite Mort," accompanied by the Utah Chamber Orchestra conducted by Terence Kern. The program will run concurrently with the company's first family series, featuring Ballet West II performing "The Little Mermaid," choreographed by ballet mistress Pamela Robinson-Harris and former Ballet West soloist Peggy Dolkas. When • The "Emeralds" program will be April 13, 14 and 18-21, 7:30 p.m., with a 2 p.m. matinee Saturday, April 21; "The Little Mermaid" will be performed Saturday, April 14, at 11 a.m. and 2 p.m., and Monday, April 16, at 7 p.m.
Where • Capitol Theatre, 50 W. 200 South, Salt Lake City. 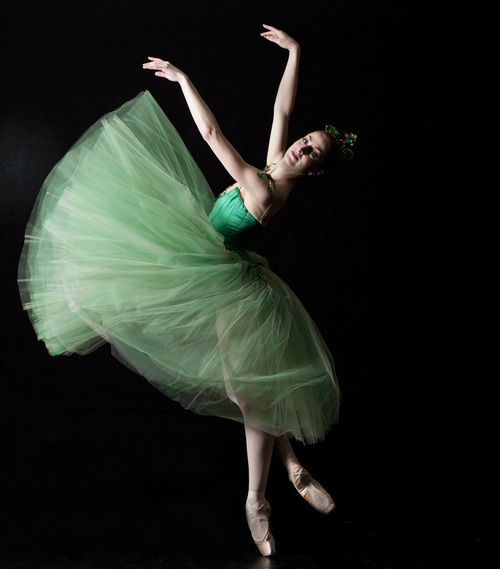 Tickets • "Emeralds," $19-$75; "Little Mermaid," $15-$30; at 801-355-ARTS, or http://www.arttix.org.